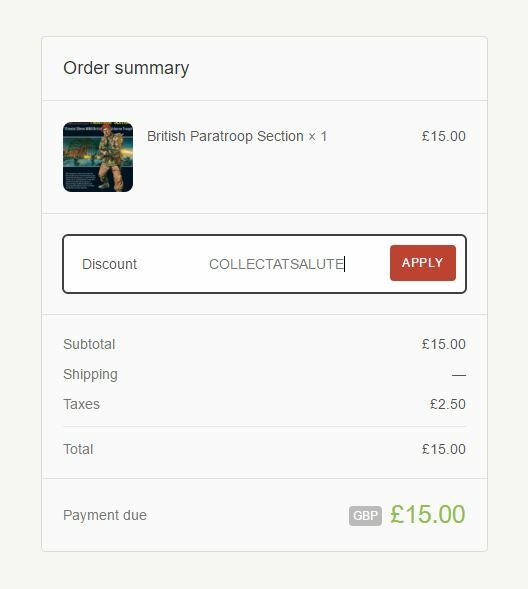 We often have calls come in about picking up orders at show or events we attend and with Salute 2016 just around the corner what better time than to tell you how! 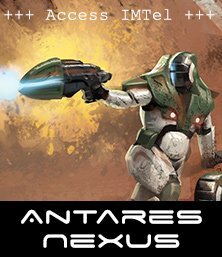 For Salute 2016, if you would like to pick your order up from us at the stand on the day, we will only accept orders placed and paid in advance. 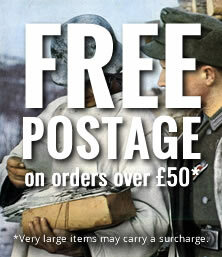 Please make sure your emailed order, or your order placed on our web store, reaches us no later than Friday 8th April. Once you click Continue the code will remove any shipping costs. Please note that to ensure your order can be taken to any event we will need the order in by the Friday of the week prior to the event (i.e. 6 working days prior). We may not be able to take orders to the show placed after this time due to casting times for models. 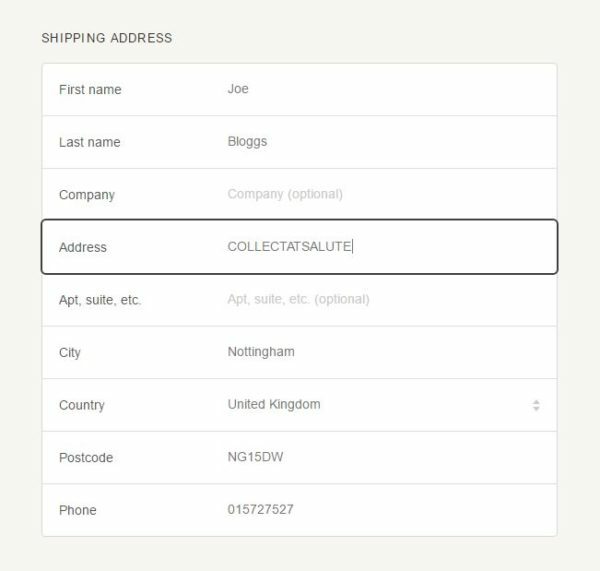 You can indeed place an order for collection at any UK show! 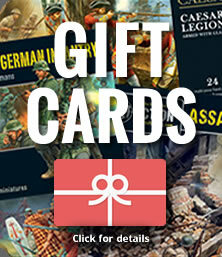 Please email us at info@warlordgames.com with a list of the items, which event you would like to collect them at, and if you would prefer to pay now or at the event. Just make sure it’s in 6 working days prior. As always, if you have any order related questions don’t hesitate to call our customer service team on: 0115 978 0386.